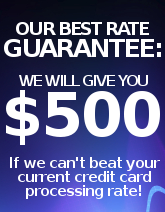 Elite Merchant Systems offers a wide range of state of the art credit card processing terminals. Our current terminals are among the most powerful products on the market. We offer free placement not only for the full feature counter top models, but also on many of the advanced wireless terminals we offer.